Yevgeny Kashper (lead image) has run away from Russia twice. The first time, he says, he was just six years old, and he and his family were “political refugees from the Soviet Union”. They were almost penniless. The year was 1975. The second time Kashper was 45, and he was carrying at least $120 million in cash from a Russian business he has been trying hard to conceal. The year was 2014. “I started my career,” declared Kashpers, “with The Stroh Brewery Company, selling many of Pabst’s classic brands, such as Old Milwaukee, Schaefer, Schlitz and Stroh’s. In the twenty years since then, I have been selling, marketing and brewing beer – and have loved every minute of it. The opportunity to work with a timeless American brand like Pabst Blue Ribbon is a dream come true. We will stay true to Pabst’s roots and are committed to investing in the Company’s organization and brands.” The word Russian doesn’t appear in the release. Pabst Brewing Co. requires you to be 21 in order to gain access to its website. But apart from identifying Kashper as chief executive, and a handful of others, the address of headquarters is a post office box in San Antonio, Texas. The telephone is answered by a machine which claims that business hours are between 8:30 am and 5 pm. In between those times, the machine apologizes for being unable to connect to a person. An email address is given instead. A press office doesn’t exist. The marketing office doesn’t reply to emails. Oasis Beverages is registered at an address in Limassol, Cyprus. Established in 2008, according to Bloomberg, it is the successor of two other offshore names Kashper used for cashflow, tax, and accounting for his Russian beer business – North Winds and Detroit Investments. A third offshore name, Echelon Systems Ltd, registered in the British Virgin Islands, has been identified in court as part of another payment scheme. Kashper has told a Moscow newspaper that he owns 28% of Oasis, which in turn owns about 100% of Moscow Brewing and smaller enterprises producing or importing beer, water or fruit juice, in Kazakhstan, Ukraine, and Belarus. Its chief executive, replacing Kashper at the time of the Pabst takeover, is a British national, Nicholas Henderson-Stewart (below, left). Its chief lawyer is an American of Russian origin, Vladimir Zlobinsky (right). They aren’t at the Cyprus office. The receptionist there says: “nobody is at the Cyprus office.” She won’t say where the executives are located. No Russian consumer products company is a secretive as this. Asked to explain, Henderson-Stewart and Zlobinsky replied by an email from the site administrator of the Oasis Beverages website, with a Los Angeles IP address. They refused to provide information. 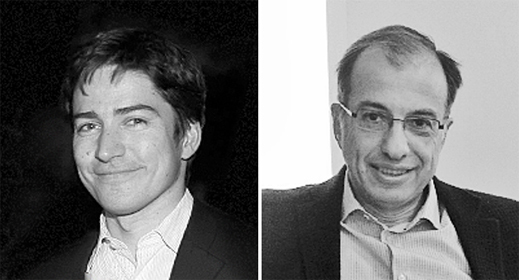 The secrecy surrounding the brewery company in Russia is contrasted by press interviews which Kashper and his partner Alexander Lifshits (right) have given, where they tout their success. Lifshits says he and his brother Arkady own 56%, but he’s been reluctant to admit even that. The remaining 16% of their business is owned by shareholders even more silent than Kashper about who or what they are hiding from. The success story of Kashper and Lifshits began as a concessionaire for imported beer, with most of the proceeds held offshore. An initial investment in import substitution and domestic Russian beer manufacture was quickly turned over and sold to an international brewer. A diversification into beer in Ukraine, Belarus and Kazakhstan followed. But to this day Oasis won’t say how much of its revenue is earned in Russia, how much in the other countries. Nor is it clear how much of the revenue still comes from the sale of import brands in the Russian beer market. What is surer is what Oasis is hiding – the transfer of the Russian proceeds offshore in a complex scheme of tax optimization. In Russian press interviews Kashper has said he was born in Leningrad in 1969. As a child, he says his parents took him to the US where he was educated. He then returned to Moscow to work in the Moscow office of the accountants, Ernst and Young. From 1993 he became the agent of the US beer exporter, Stroh of Detroit. In the US Stroh was unable to compete with US beer rivals, and the family shareholders were going broke, forcing them during 1998 to find a buyer. Stroh was acquired by Pabst in February 1999. For that story, read this. As Stroh was collapsing in the US, in mid-1998 the Russian government was approaching default on its treasury bonds. The rouble collapsed in August. At that point, imported beer became too expensive for Russian consumers, so the major international brewers began Russian production. Like the majors, Kashper and Lifshits acquired a derelict local brewery, and began production of locally branded beer. The owner of what they called the Ivan Taranov Brewery (PIT is the Russian acronym) was an entity called Detroit Brewing (aka Detroit Investments). They built their production and sales to a domestic market share of about 3%. In 2005 they sold out to Heineken for $560 million. When the deal was announced, it was revealed that Kashper and Lifshits had a 62% stake in PIT through an entity they called Allied Partners, while 38% was held by Texas Pacific, a US equity investment fund. Kashper and Lifshits earned almost $350 million, less their costs and debts. Patriotism may not have been their strong suit; their timing was. When Heineken bought them out, the market prognosis for Russian beer demand and market growth was more positive than it turned out to be. According to Vadim Drobiz of the Moscow Center for Research on Federal and Regional Markets for Alcohol (TsIFRRA), domestic demand for beer in Russia peaked in 2007. For more on the Russian beer market, read this. 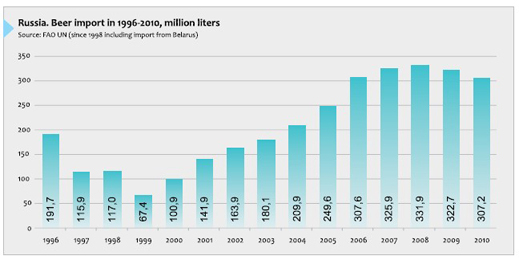 Data on Russian beer imports show that by volume and value, sales hit peak in Russia in 2008. Since then there has been a dramatic contraction of consumption and market value. This has been caused by a sharp rise in excise tax on beer; government restrictions on television advertising, as well as on beer kiosk sales; and a country-wide demographic contraction cutting the number of young Russian drinkers who demand cheap beer to get drunk. With their proceeds from the Heineken sale, Kashper and Lifshits invested what has been publicly reported as either $150 million or $200 million in a new brewery at Mytishchi, near Moscow. In fact, Lifshits has acknowledged that by 2014 the investment was no more than $70 million. It had been planned by the duo to invest another $80 million in expanding production volume and marketing between 2016 and 2017. They decided to take their cash to the US. A programme of diversification into the neighbouring former Soviet states had commenced earlier, but the outlays were small; equity and profit share were correspondingly a fraction of what Moscow Brewing contributed to the Oasis bottom-line. In the Ukraine, Kashper and Lifshits had a local business partner, plus the European Bank for Reconstruction and Development (EBRD). The bank said in September of 2011 that it would provide “up to” $20 million for an equity stake in the project, whose total costs it estimated at $182 million. Oasis was the vehicle Kashper and Lifshits used in the deal. The IFC revealed more than Kashper or Lifshits have acknowledged in Russia, or in the US. Their Detroit entity had been founded in 1994, at the very start of Kashper’s Russian beer partnership with the Lifshits brothers, when Kashper has told the US market he was the personal representative of Stroh of Detroit. 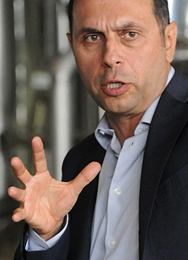 Detroit was the first of the Kashper-Lifshits Cyprus offshore entities. Another IFC disclosure records that Kashper was the junior man in the Detroit group. This, reported IFC in 2004, was “controlled by Eugene Kashper (26%), Edenbury Holdings Limited (51%) and members of the management team (24%) … Edenbury Holdings Limited is controlled by Arkady Livshits.” The IFC said its information came from Henderson-Stewart, then titled chief operating officer of the group, with an address at Zarechye, in Moscow region. “Detroit Investments is the main investment vehicle of the Detroit Group, “ according to another IFC statement, “which is primarily involved in the production, import and distribution of beverages in Russia, Belarus, and Kazakhstan. Detroit Investments started working with IFC in 2004 and implemented two joint projects. IFC financed the Detroit Belarus Brewing Company in Belarus and Vladpivo in Russia.” Vladpivo was a Vladivostok brewery in which Kashpers, Lifshits, and Mikhail Fridman’s A-1 investment fund were partners. The IFC said it was providing a loan of €7.5 million equivalent, plus a $5.3 million equity investment in a project estimated to cost $58 million. By 2010, when Kashper and Lifshits told the Russian market that they were aiming to expand Detroit Investments’ assets in Russia, there was no mention of Vladpivo. The Turkish beer company, Anadolu Efes, bought the Vladivostok asset in 2004 for €16 million. A survey of Russian business media reports reveals that in their good years Kashper and Alexander Lifshits have talked up their revenue and profit growth. In 2011, Moscow Brewing reported revenues of Rb 9.02 billion; net profit of Rb140 million. In 2013 the company reported it had increased its revenues by 17.5% over the 2012 figure to Rb12.4 billion, though net profit was reported as falling 57.9% to Rb150.26 million. In 2014, Lifshits told the local press, the year had been “worse than we planned, but overall not bad going until November, exceeding the sales plan, and in November – [we] came to the same result as in 2013. Although revenues sank by 6% in December, the volume proved better than the previous year, while gross profit [fell by] 9% . In connection with the devaluation, we were forced to raise the prices of imports by 40%, as well as for our own products by an average of 15%. Volumes have fallen, but revenue even increased. [Q:What is the profitability of your business?] EBITDA margin – 17-20%.” Revenues for Moscow Brewing for 2014 came to Rb13.1 billion; a loss of Rb1.4 billion was reported. For Kashper and the Lifshits brothers the writing was already on the wall. They decided to put their money elsewhere. In 2014 Kashper would make his second getaway from Russia, this time placing as much cash as Oasis could muster and borrow for the takeover of Pabst. Pabst had been for sale at least nine months before Kashper and Lifshits announced their deal in September of 2014. In February of that year, Perella Weinberg, a New York investment firm, was at work to find buyers when the first US press leaks appeared, advertising a sale price of between $500 million and $1 billion. The purchase price of the business had been $250 million in 2010, when Dean Metropoulos bought out the family foundation of Paul Kalmanowitz. They had tried for a price of $600 million. In 1985 Kalmanowitz had paid $63 million for Pabst. Exaggerated valuations for beer companies are commonplace, especially if the seller claims to produce what is known in the trade as a “craft” beer, with a cult or niche following among consumers. Pabst, which stopped brewing its beer in 1996, claims to be that kind of product. Market valuations of comparable beer companies have suggested that their net asset value can run as high as 10 times their profit. 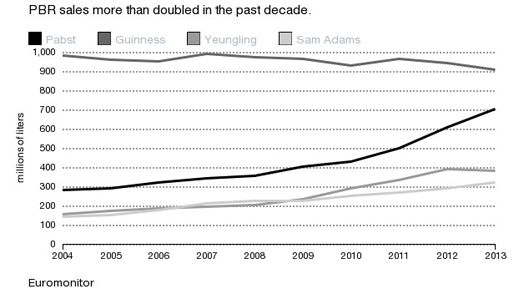 The multiple can be even higher, depending on projected consumption trends for beer-drinkers. According to US market assessments, Pabst had been declining when it was regarded in the market as a brand for working-class men approaching retirement. It revived with consumers who were young bar crawlers of undefined sexual orientation. In the Russian press record Kashper has been reported as offering to pay an asset acquisition price of Rb60 to Rb70 per hectolitre of Russian beer production. When he said that, before the 2014 crash, the currency equivalent was $1.90 to $2.20 per hectolitre. The last reported production number for Pabst is 101 million hectolitres. Although the sale price for Pabst has not been disclosed officially, Bloomberg put it at $700 million; The New York Times claims the amount was more than $700 million. The takeover price Kashper and the Lifshits brothers have paid is about $7 per hectolitre. That’s much more than the Russians considered paying in Russia. No sales revenue or earnings figures are available from Pabst to estimate what earnings or profit multiple has been applied to arrive at the sales figure. It’s in the middle of the range of the Perella Weinberg asking price. 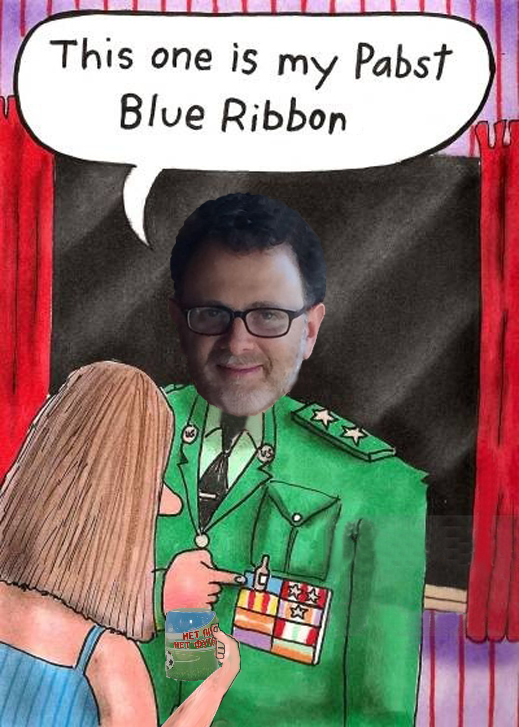 When the bidding for Pabst was under way the US press didn’t mention that the company had been owned for 25 years by a Jewish American, then for four years by a Greek American. But when Russians were identified as the buyers on September 18, 2014, that was American news – because the US was at war with Russia. The Wall Street Journal confirmed that “Russian brewer Oasis Beverages and private-equity firm TSG Consumer Partners LLC are partnering to buy Pabst Brewing Co., according to people familiar with the matter. The deal values the maker of Pabst Blue Ribbon and other beers at between $700 million and $750 million.” USA Today reported: “Pabst Brewing to be sold to Russian company”, confirming the deal value was close to $750 million. Henderson-Stewart, Kashper’s junior at Detroit and Oasis, and Zlobinsky, the Oasis lawyer, said this week: “Oasis Beverages did not acquire Pabst.” The truth is that they did, and also that they didn’t. That’s to say, Kashper the Russian, along with the Lifshits brothers and their 16% silent partners, also Russian, did buy out Pabst when they first said they did. But they were obliged to create the appearance that they didn’t. So Kashper the American bought Pabst for them instead. 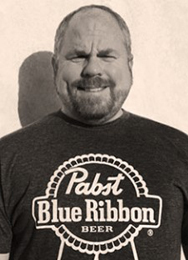 The Pabst statement was signed by Dan McHugh, chief marketing officer for Pabst at a Los Angeles telephone number. That is answered by a machine. McHugh (right) is still listed by the company at the same post. McHugh and Pabst weren’t setting the record straight at all. Between September 19 and November 13, 2014, the deal terms were changed. The words, that is, if not the money. The Russians were no longer buying Pabst. The press agent for the original announcement had been Hadas Streit of Allison Partners. The new press agent was Daniel Goldstein of Sard Verbinnen. Streit doesn’t want to talk about what happened. This week Goldstein was a fraction more talkative. What had happened was a secret review of the deal by US Government intelligence agents, the US Treasury and the State Department. Together, they form a high-level committee of officials called the Committee on Foreign Investment in US (CFIUS). Its job is to monitor foreign buyers of US assets to gauge the impact on American defence, national security, military technology, and exposure to espionage. The last public disclosure by CFIUS of its transaction reviews was a report to Congress for 2013, issued in April 2015. This indicates that Russia was the origin of just 3 reviews by CFIUS between 2011 and 2013 – far behind China (54), UK (49), Japan and Canada (34), and France (29). The identity of the Russians has not been disclosed, nor the outcome of the CFIUS reviews of their deals – two in financial services and IT, one in manufacturing. Before then, two Russian oligarchs Vladimir Potanin and Roman Abramovich underwent CFIUS review for two transactions; they were the Norilsk Nickel acquisition of the palladium miner, Silverwater, in 2003; and the Evraz acquisition of steelmills in Colorado and Oregon in 2006; both American properties were close to insolvent at the time. The CFIUS processes involved active lobbying for and against; some of this did not become public at the time. Both deals were approved. Beer isn’t usually considered strategic in the political sense or sensitive in either the military or technological one. The US government’s politburo directing the war against Russia is mostly female, and their taste in beer is a secret. President Barack Obama (below, left) has publicized his taste for beer to contrast with that of his predecessor, George Bush. 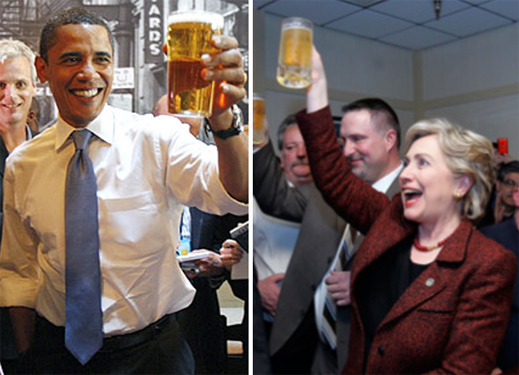 Hillary Clinton (right) drank beer during her 2008 presidential race when she was campaigning for white working-class votes. The beer itself has not been identified as a national security concern. There had been nothing noteworthy for CFIUS when the German founded American brew was bought by a Jew, and resold sold to a Greek. Except for the civil war in Ukraine, which started in February 2014, the war in Syria, and the war to change the regime in Russia, the sale of Pabst to another Jewish American would have been harmless. Jewish and Greek owners hadn’t hurt the Pabst marketing of the brand to hip and hapless American drinkers for a quarter-century. But in 2014 Kashper and the Lifshits brothers were Russian Jews – that’s Russians. There had been no inaccuracy at the start, no change of hands at the end. It had been Kashper’s intention, along with the Lifshits brothers, to cash out of Russia. How much cash they have been able to take out, net of debt, and place in the Pabst deal is unclear. Between the deal announcements of September and November did CFIUS require Oasis Beverages, TSG and Pabst to accept “mitigation provisions”? For Oasis and the Lifshits shareholders, Henderson-Stewart and Zlobinsky claimed this week that “Oasis Beverages did not acquire Pabst.” Kashper and Pabst won’t answer the question. TSG’s spokesman Goldstein said yesterday: “The 2014 Pabst acquisition was not a ‘covered transaction’ under the Foreign Investment and National Security Act of 2007 (“FINSA”) and therefore not subject to CFIUS review. Please see this press release.” The release Goldstein referred to was this one. He was referring to the deal terms of November 13, 2014, not the terms two months earlier. Goldstein is indirectly confirming that after revision of the terms, a CFIUS review was unnecessary for the Pabst takeover because the deal no longer involved a Russian investor. Kashper the political refugee from the Soviet Union had become a fully fledged American entrepreneur. Where the money has come from for the majority share, the Kashper share, of the $700 million to $750 million buyout remains secret. In Russia there has no obvious negative reaction by the government to the US investment by Oasis and Kashper’s move back to the US. Except for the federal tax authorities. According to a ruling of December 31, 2015, by the Moscow Arbitrazh Court, the Federal Tax Service has charged Arkady and Alexander Lifshits with operating a scheme to reduce the Russian taxes they paid by over-estimating expenses and moving them between company names as if they were unrelated. The expenses were inflated, according to the tax service, by a scheme of charging royalties on every beer sold in Russia to a company registered in the British Virgin Islands called Echelon Systems Ltd. The government claims the scheme was tax evasion because the chain of entities in Russia and offshore were all controlled by the same beneficiaries. The tax amount at stake is Rb16.5 million. In the December 31 ruling, the court judged there was insufficient evidence to prove the tax claim.